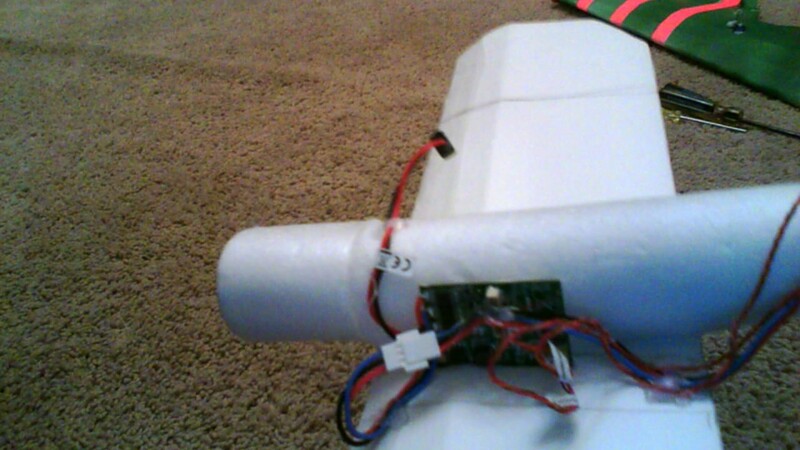 The fuselage tapers down to increase the power created by the fan. I currently have 3 channel control, throttle, elevator, and rudder. 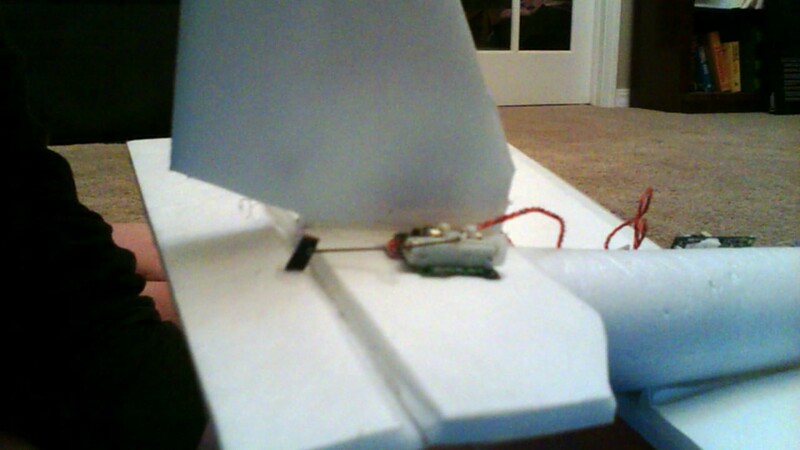 Sadly, the design is to small to keep the gyro (SAFE) board very well hidden, so it is just on the wing for now. 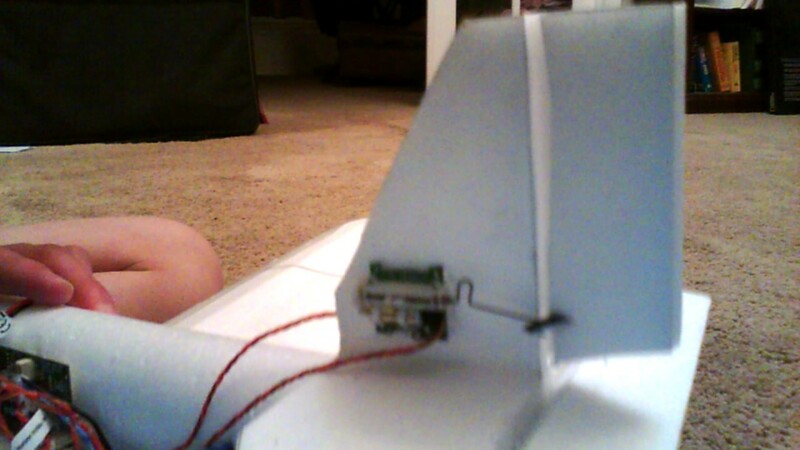 The battery sits on the opposite side of the fuselage, secured by Velcro. 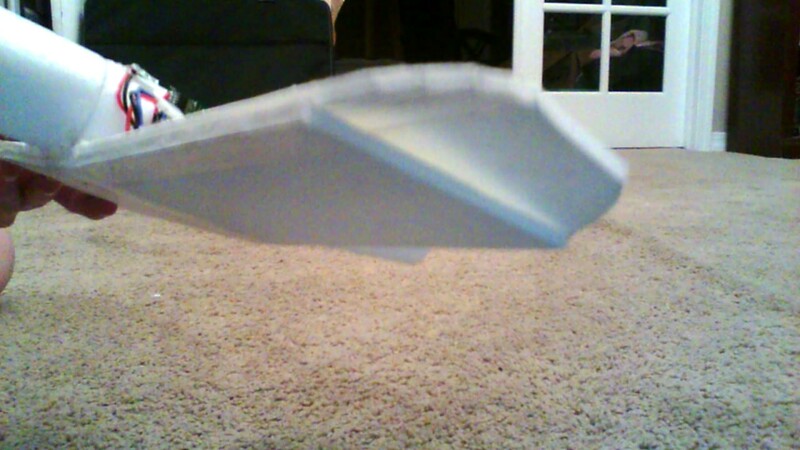 The wing is a typical flat-bottomed airfoil with under-cambered wingtips. After Maiden cra-flight today, as I presumed, the aircraft is extremely tail heavy. I lengthened the fuselage to increase scale appearance and improve balance. The wind picked up past 15-20 MPH so I was unable to take it out for another flight. After running the motor up on the work table, the plane would begin to skid forward, so I am pretty sure it has enough air currant. It has its surface area. 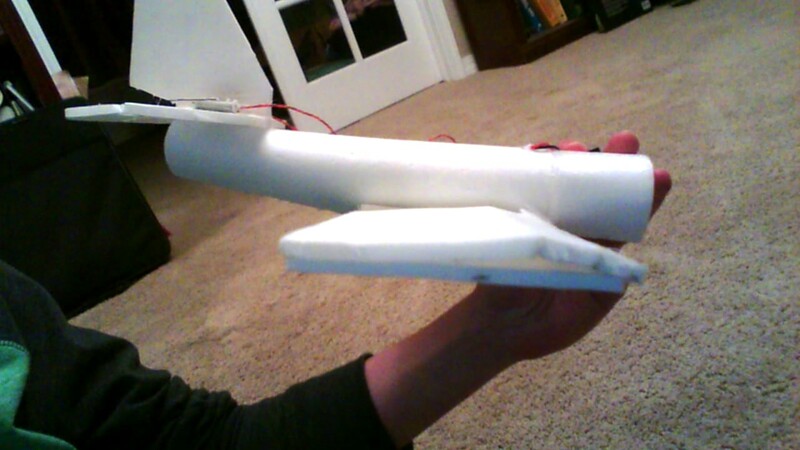 Sadly, after gluing the tail in place, I realized the Mig-15 is an H-tail design. 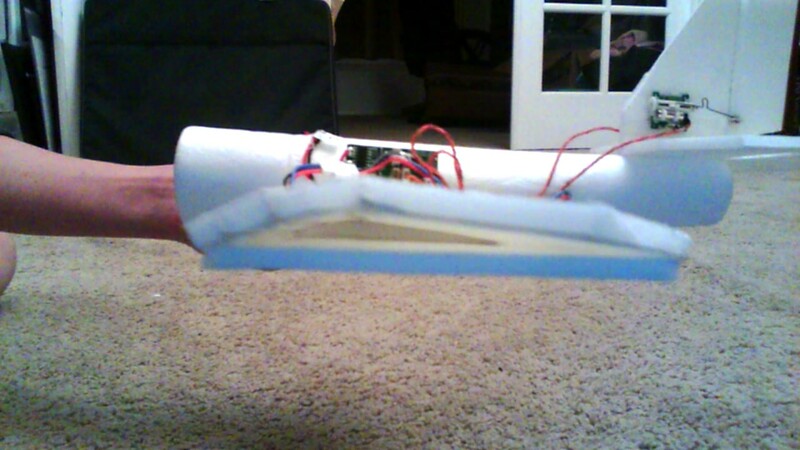 If this airframe never works out, I may retry with some different build techniques, or perhaps move onto a glider, or a fully under-cambered wing. Very cool! Maybe to hide the electronics you could make a canopy on top. Also, removing the paper of the foam board will decrease the weight immensely. One last thing, I would recommend doing a double bevel of the leading edge of the wing, horizontal stabilizer, and rudder. 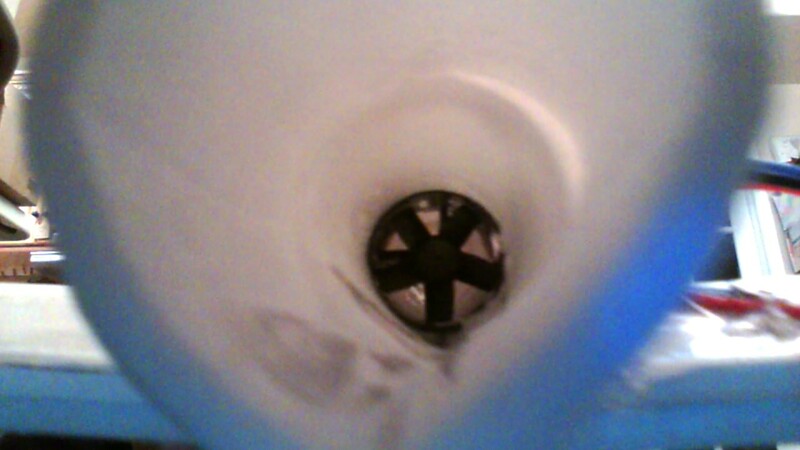 Flitetest doesn't do this, but from my experience, this will make it fly much better. thanks for the tip! sounds like it would create a much more aerodynamic shape. What you can do is to simplify the wing to gain some weight. Carbon spar and a KFm-2 profile. Good tip. I may build a new one with some differences including these tips. Check the website foamconceptjets.com, he has plans for a micro F-117, an X-47 military drone, the Bat Plane and a EuroJet that will take a 28-30 mm EDF. The plans are cheap, too. I've built an F-117 that didn't come out to well because I used poster board instead of DTF, my Bat Plane came out better, but I'm still redoing them in DTF. He also has 64-70 mm EDF plans for those plus the Tin Man from the movie 'Stealth', in addition to various prop planes. I'm not affiliated with his site in any way except as a customer LOL. I just really like ultra micro aircraft, especially umx EDFs. I checked out the website, those planes look awesome! The only drawback is I can't get 3mm depron anywhere locally, and shipping is expensive. Would they work with DTF?